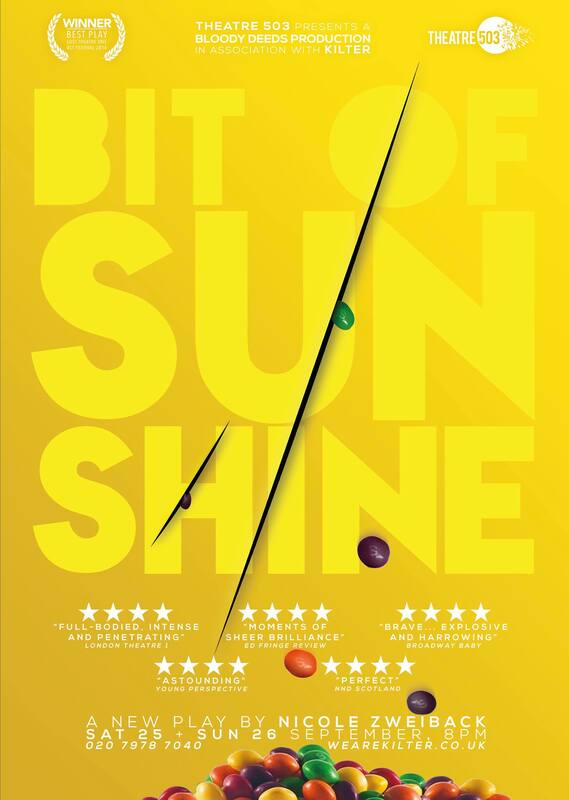 Following on from a tremendously successful run at the Edinburgh Festival Fringe, where critics called the play "astounding" and "brave", Best Play award-winner Bit of Sunshine is transferring to London's Theatre503 for two nights only. This play is a collaboration between three East 15 Acting School 3rd year students and two inventive new theatre companies. Bloody Deeds Productions, founded by Nicole Zweiback (BA Acting), was created by a group of young women that discovered a need for a collaboration that defied the (still) heavily male dominated profession. KILTER is a collaborative theatre company formed by Ed Theakston (BA Acting & Contemporary Theatre) and Katie Coull (BA Acting) to make confronting theatre that responds to and seeks to change the world around us. In July, Bit of Sunshine won Best Play at the LOST Theatre One Act Festival, and from there it was performed for a week at the Edinburgh Fringe where it received no less than five four-star reviews, and also passed the Bechdel Theatre test for women in theatre. Paul Vale, critic for The Stage, described it as "fascinating... an accomplished piece of theatre." The play has now been transferred to the new-writing theatre, Theatre503, which produces ground-breaking, game changing, innovative work. We need your help to cover the costs of the transfer, and to make Bit of Sunshine happen! Bit of Sunshine is a compelling story about mental illness and eating disorders. We want to raise awareness about mental health issues, and by supporting us, you would be donating to an important piece that could help start a conversation to shatter taboos surrounding eating disorders & mental health issues. What is Bit of Sunshine? Kira is the perfect teenager. Kira wants to go to Oxford. But her eating disorder shatters everything in her path. 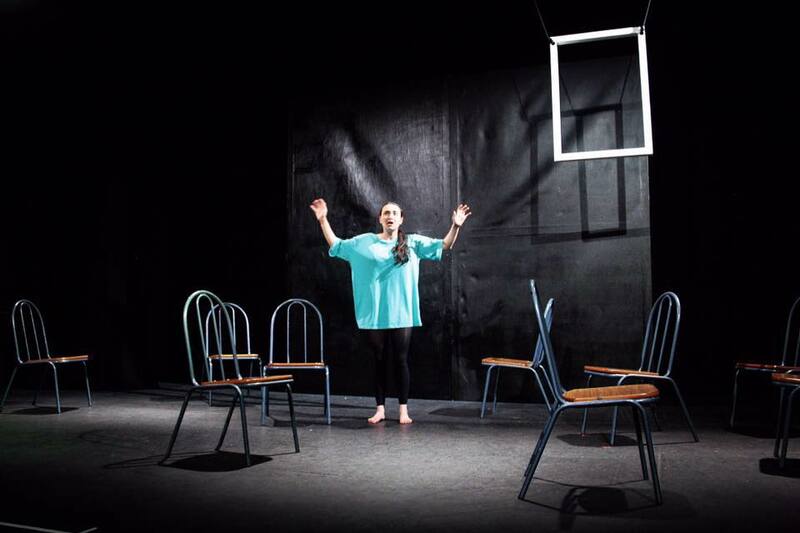 In this poignant, raw and honest new play a young girl explores what it's like growing up with mental illness and the lifelong struggle of addiction. Bit of Sunshine is a harrowing story about coming of age in a world obsessed with the struggle for perfection. We have some awesome rewards to thank you for your donations! PLEASE NOTE, IF YOU ARE IN THE UNITED STATES, YOU WILL RECEIVE YOUR REWARD IN JANUARY. If you cannot attend the productions we will be in contact about later dates of the show. £40 (as above, plus) Nicole will do ice bucket challenge!